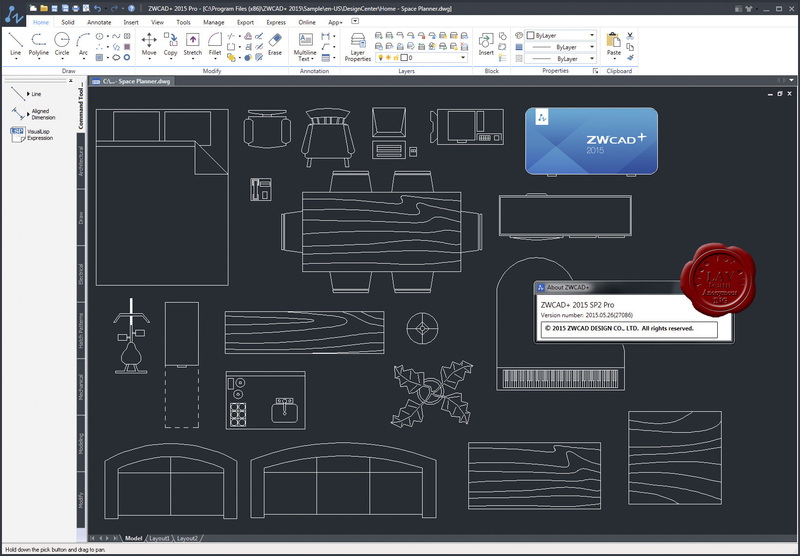 ZWCAD Mechanical for manufacturing provides abundant tools such as shaft generator, tolerance dimension, surface texture symbol, balloon and BOM and standards parts for mechanical 2D sheet drawing. Power Dimension makes dimensioning easier with abbreviated dialog boxes that control and expand only the variables that are relevant to manufacturing, as well as integrate tolerance and fit list information. 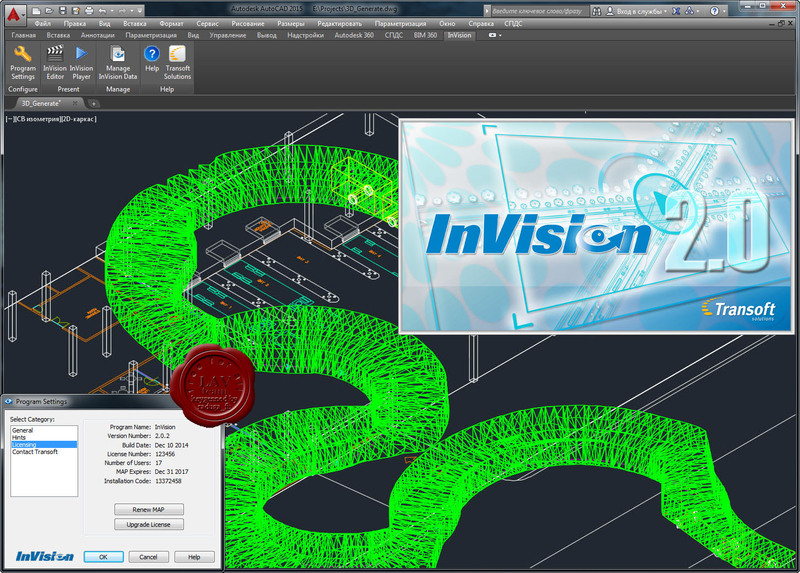 With Multiple Dimensions, you can create multiple dimensions with minimal input and properly space ordinate, parallel or symmetric items. Overlapping dimensions can be automatically spaced apart appropriately. It determines the suitable distance from the object being dimensioned, making the linear dimensions look neat and clear. Mechanical symbols, include surface texture symbols, datum identifiers and targets, taper, center hole and weld symbols greatly save your time and improve your design accuracy. 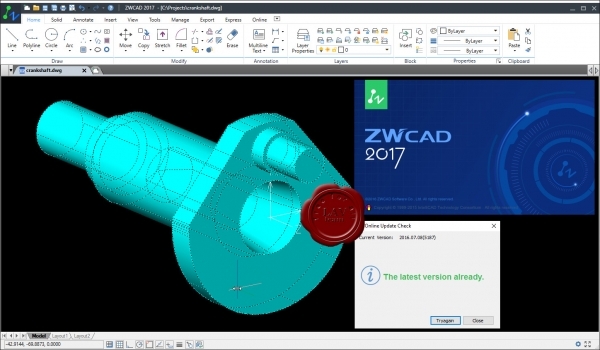 With ZWCAD Mechanical, you can draw, align and renumber standard-based balloons easily. It only takes one step to create a BOM. Also, it automatically recognizes standard parts and summarizes them to the BOM. Every change to the balloon would be updated to the BOM, ensuring that the data is always correct and up-to-date. 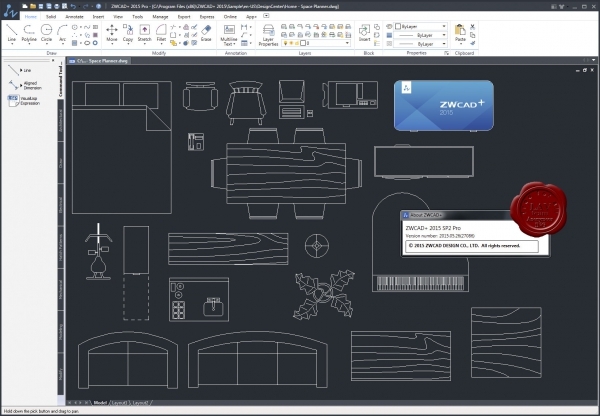 ZWCAD Mechanical supports ISO, ANSI, DIN, JIS and GB drawing environments, and it also provides an easy way to customize enterprise standards. Every mechanical entity, such as border, dimension, symbol, etc, would be placed to the default layer with preset color and linetype. With layer mapping, mechanical entity can be placed on a custom layer to match company practices. ZWCAD Mechanical supports multiple borders drawing with different scales, and the size of annotations objects can be changed according to the scale of border. Re-editing becomes easy, double click objects and then the settings in the dialog box will be changed automatically. 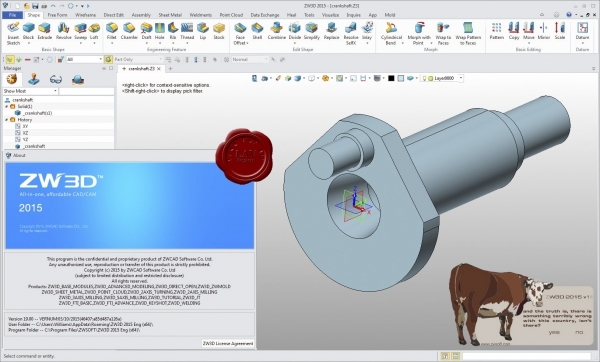 ZWCAD Part Library contains screws, nuts, washers, pins, rivets, springs, bearings, etc. It saves you hours of work by directly taking parts from the library. You are able to create Shafts and Gears by inputting the geometric parameters, which greatly accelerates the whole design process. The program includes a total of 32 options to create construction lines and 7 options to create construction circles. Construction lines can be used as references to create other objects and make drafting easier. 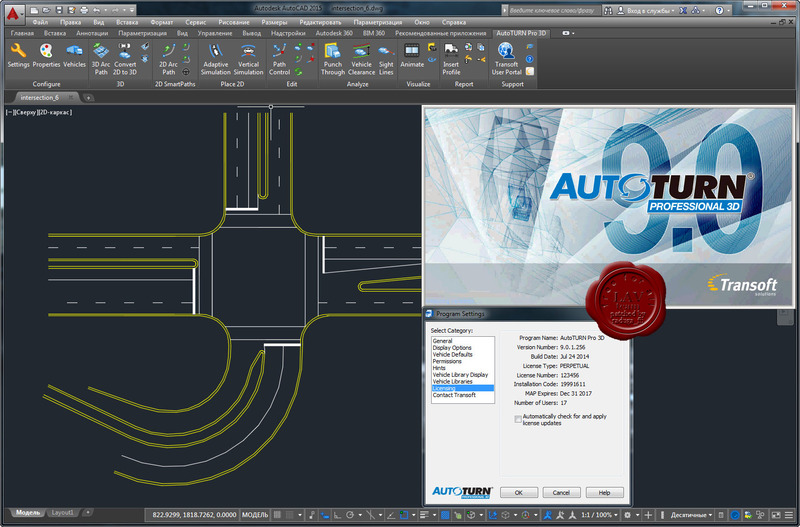 You can add centerline to circle or rectangle by simply selecting objects. 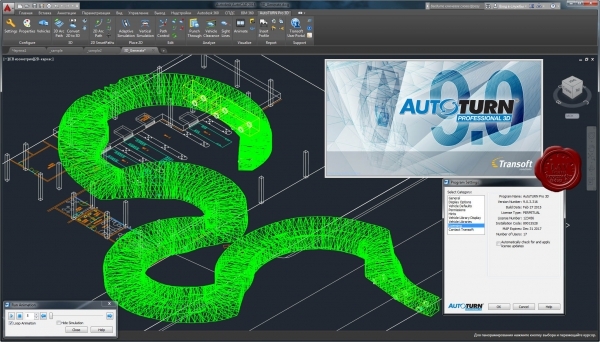 Centerlines can be drawn to one single entity or multiple entities. Generate the detail view with a few clicks, and it is updatable when a change is made to the geometry. Technical groove is an essential segment in the mechanical design process, ZWCAD Mechanical offers a variety of construction features of process structure, including crack groove, shaft and hole rect reliefs. 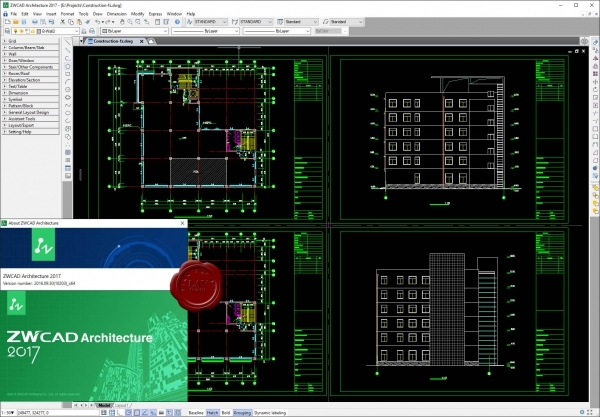 ZWCAD Architecture is a professional CAD software for architects who want immediate productivity. It includes content libraries and tools designed specifically for architectural drawings, which enhance the workflow, automate tedious drafting task, reduce errors and increase efficiency. The intelligent layer management system automatically places items on the correct layer, applies color, and linetype as you create your drawing. Draw your plans in 2D, switch views, and all of your components can be viewed in 3D. Rest assured that your 3D model remains consistent with your 2D plan and vice versa. Hundreds of components such as furniture, kitchenware, appliances, vehicles and plants are provided to let you detail your plans with ease. From the completed 2D plan, elevation and section can be automatically generated with a few clicks. Compose floors, walls, doors, stairs, and roofs from the 2D plan. It takes just one click to generate doors and window tables to the drawing, no need for manual summary. This is a super intelligent tool that ensures accuracy and efficiency. Dimension includes adding grid numbers, adding door/window liner dimension in batch. This also allows to add symbols like elevation, index symbol, detailed drawing symbol and compass. Intelligent tools are provided to recognize rooms and add hatch automatically, turning on/ off room name and room area labels. 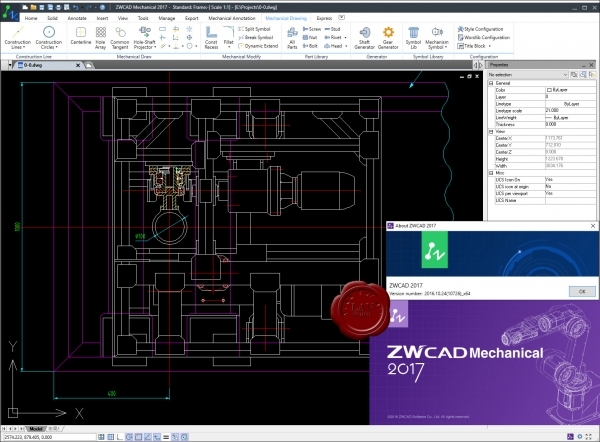 ZWCAD 2017 - новое поколение САПР от ZwSoft, которое на сегодняшний день доверяют множество пользователей по всему миру. Новое превосходное графическое ядро, разработанное специально для ZWCAD, значительно повышает скорость и производительность работы приложения, а также совместимость нового программного продукта с другими САПР на уровне DWG формата. Программное обеспечение ZWCAD предназначено для архитекторов, конструкторов, инженеров и прочих специалистов, использующих автоматизированное проектирование с помощью CAD/CAM программ. Подробнее о 2017-й версии тут. 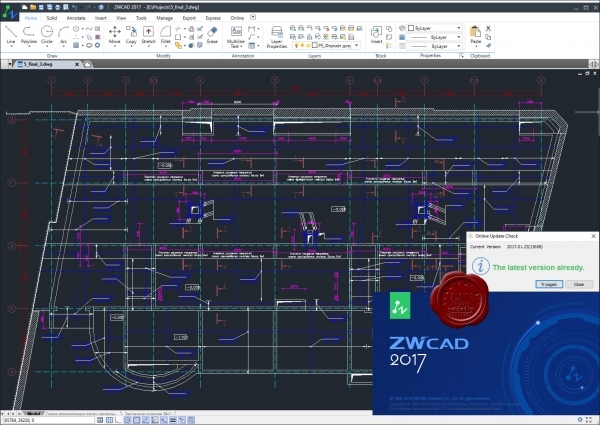 ZWCAD+ 2015 - новое поколение САПР от ZwSoft, которое на сегодняшний день доверяют множество пользователей по всему миру. Новое превосходное графическое ядро, разработанное специально для ZWCAD+, значительно повышает скорость и производительность работы приложения, а также совместимость нового программного продукта с другими САПР на уровне DWG формата. Программное обеспечение ZWCAD+ предназначено для архитекторов, конструкторов, инженеров и прочих специалистов, использующих автоматизированное проектирование с помощью CAD/CAM программ. Подробнее о 2015-й версии тут. ZW3D - мощная многофункциональная CAD/CAM система для создания трехмерных моделей деталей и сборок различной сложности, изделий из листового металла, а также изготовления их на станках с ЧПУ. ZW3D позволяет выполнять моделирование на всех стадиях, начиная построением эскиза и заканчивая производством продукции на станках с ЧПУ (сквозной процесс). Встроенный модуль обучения Show-n-Tell значительно упрощает изучение функционала ZW3D. Кроме того, благодаря уникальному ядру Overdrive решение предлагает возможности гибридного моделирования, проектирования пресс-форм, использования инструментов подготовки полостей и библиотек компонентов. Интегрированная CAM-технология предназначается для интеллектуальной и адаптивной ЧПУ-обработки от 2 до 5 осей. ZW3D подходит для индустрий производства товаров народного потребления, автомобильной промышленности, проектирования оборудования, пресс-форм, медицины, ЧПУ-обработки и т. п. Система поддерживает такие форматы, как Solidworks, Catia, Autodesk Inventor, UniGraphics, ACIS, распознает и сохраняет данные в форматах DWG/DXF, Parasolid, STEP и IGES.